Upside Down Pizza doesn’t sound nearly as appetizing as Chicago Stuffed Pizza, although it actually is topsy turvy. Except for the crust, everything is out of place: cheese is first covered by the generous toppings, which are underneath the rich tomato sauce – and it’s all a couple inches thick. 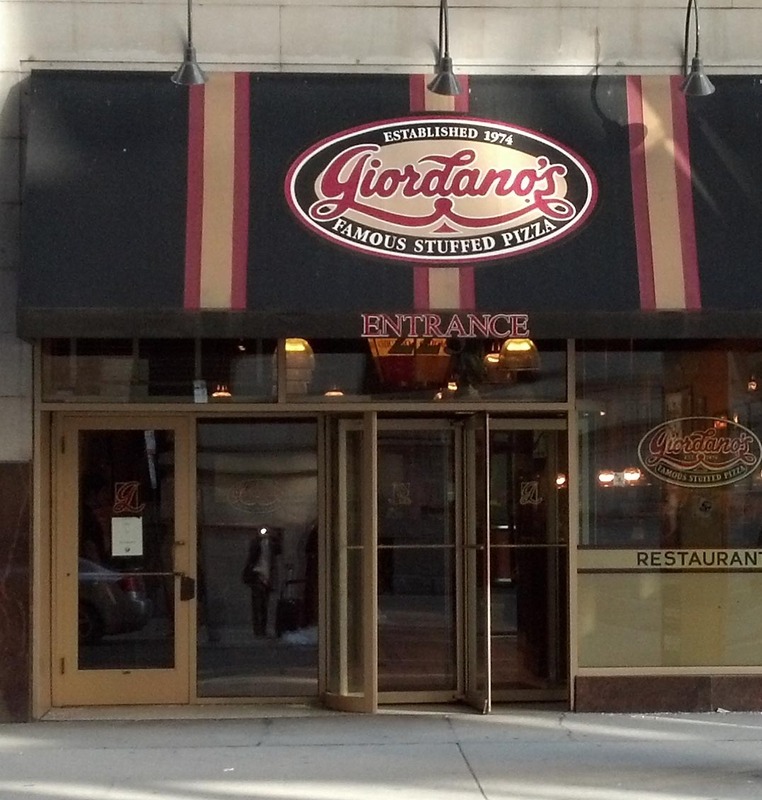 The place for stuffed pizza in Chicago is Giordano’s. 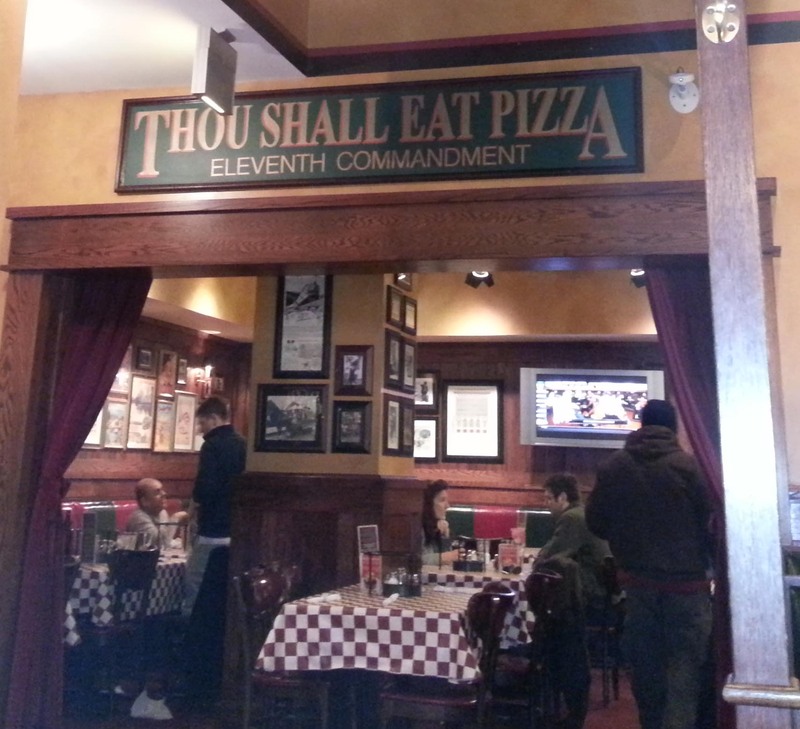 More than a dozen Giordanos grace the city, and numerous others are in the suburbs, but this does not have the feel of a pizza chain. A recent trip passing through the Windy City’s downtown included just enough time to dine at Giordano’s – keep in mind it’s not a place to grab a quick bite; plan on 35 minutes from the time the order is placed to when the heavyset pizza arrives at your table. The waiters were consistent in their time estimate. And, they were pretty accurate. It’s worth the wait. Deep dish is a more apt description of the pizza at Giordano’s. Toppings, or fillings if you want to be more accurate, include the standards – pepperoni, sausage, pineapple – but also offer some creative options – broccoli, artichokes, pesto chicken. Our visit was on a Friday, during Lent, so we ordered a pie with green peppers and mushrooms. Besides its very bulk, one of the most impressive features of the pizza is the buttery crust: it’s flakey! And, given the weight it carries, it doesn’t lose its texture. Although thin crust is a menu option, it only raises the question: why?